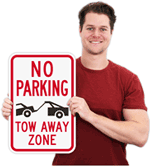 Inform vehicles entering your facility about the tow away zone with this highly visible no-tip, portable No Parking Cone Sign. 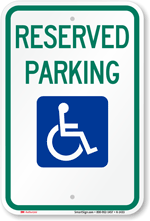 • Signs do not “wobble” and tilt in the wind or brushed by a passerby. 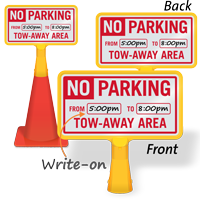 Compare with other cone signs that tilt easily. 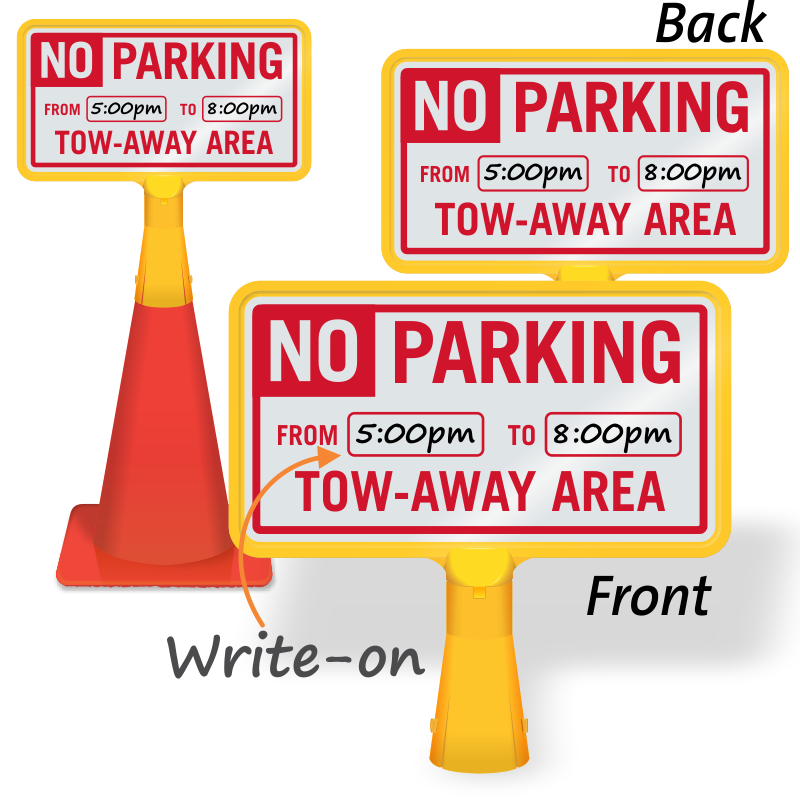 • Sign features a dry erase laminate over the sign face - simply write your message with a dry erase marker and wipe away for temporary use. 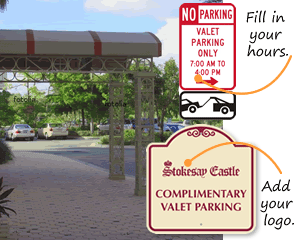 A permanent marker can be used for when a longer lasting message is desired. 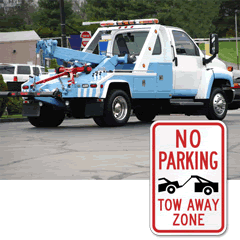 • Reflective on both sides – for superior day and at night visibility.